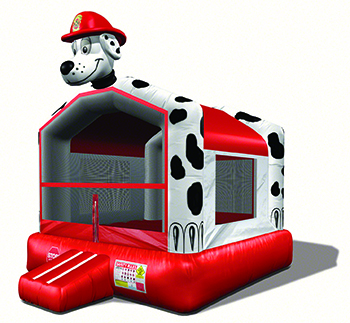 Our new line of Bounce Houses lets you choose the design that best suits your event. Select from a Giraffe, Tiger, Panda, Dalmatian, Birthday Cake, or our All Occasion Bounce House. The young to the young-at-heart will love the non-stop excitement of leaping and landing to their heart’s content on a soft three-foot cushion of air. Whether it’s a small backyard party or a large company picnic in the park, a Bounce House from Blue Apple Productions is sure to please.